Tomato Pie is one of the many joyful blessings of being a southerner, friends. Growing up in the South is really a beautiful life, not only because of the people who I love but, all of the farming culture and how that defines God’s canvas of the land in North Carolina. As a Food Blogger and fellow North Carolinian I get so excited when our beautiful veggies and fruits flourish in the Summertime and the farmers market is booming. If a neighborhood exists in this state without SOMEONE growing tomatoes I’d be surprised. Fortunately for me I live within 30 minutes of a local restaurant called Chef and the Farmer which is owned and led by Chef Vivian Howard. I go a couple times a year to get a dose of something special that I have surely never heard of before. What blows me away is that these guys are always using ingredients from our beautiful state. This Southern Tomato Pie gets me y’all. It’s so complex in flavor because of the addition of caramelized onions and using roasted and fresh tomatoes. 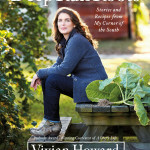 I’m using the Tomato Pie recipe is straight out of Vivian Howard’s cookbook and the same pie they serve at their restaurant. The first time I went with my friend, Kristen I remember we just took in the menu. It was full of things she and I would never choose to pair together. Like a pizza with creamed corn for example or grits with pork rinds on top or pork belly in a blueberry BBQ sauce. We worried for a moment that maybe it was too “fancy” for us. Then like always, the Lords wisdom took over. We realized we trust the Lord to guide our lives with the unknown everyday, surely the chef at this restaurant has more knowledge than we do and we need to trust their creations. It was one of the best meals I ever had in my life! We had all 3 of the above dishes I mentioned and then some. I encourage you to make a reservation in the future and experience this local gem! So, Tomato Pie! 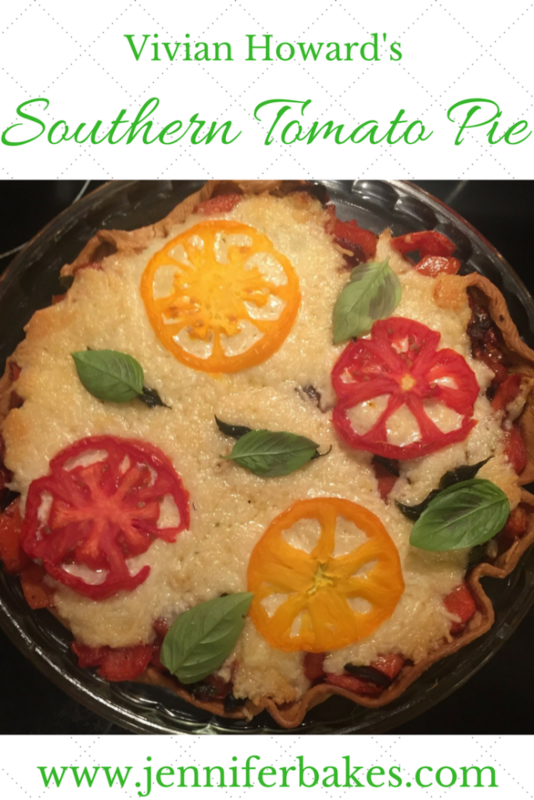 I have to admit even I was intimidated when I first decided to make this Tomato Pie. There are quite a few prep steps and you may start thinking, it’s more than you want to deal with. I promise you it’s worth every minute of effort and will make your tummy so happy. Since everyone can’t drive to this restaurant you must make it yourself! If you are sharing it with folks who are precious to you, as I did, they’ll really feel the love eating this pie. I made it for a going away party for my dear friend Kate & her family. It seemed a special enough occasion to work for a beautiful dish. Y’all, fun fact; there are over 3000 varieties of tomatoes cultivating in the world! Maybe it’s just me but, that is insane to comprehend. Our God is kinda amazing though so I guess I am not surprised we have such a variety. I used Roma tomatoes and two varieties of Heirloom tomatoes because that was easily available to me. 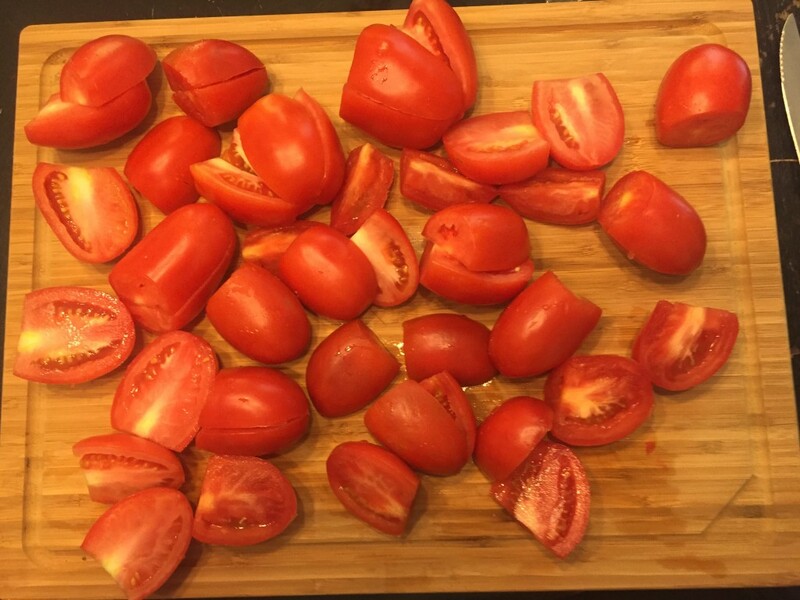 The tomato prep is the only part of this recipe that is time consuming but, again I have to say using both fresh and roasted tomatoes made it truly lovely. I could’ve eaten this pan of tomatoes just like this alone y’all! They were crispy and tender all at once and so juicy! What really put this over the top for me was the addition of caramelized onions. The combination of all of this was honestly when I realized it was completely worth the time invested. Flavor grace, friends! Seriously, it’s beautiful now and could really be consumed as is! A truly stellar topping goes atop this Pie y’all! Tomato Pie may be delicious on its own but, it’s dazzling when you add cheese! You pile that on top as neatly and evenly as possible! Finally, the tomatoes on top are placed to class it up some more! Plan your time for this recipe. There is a lot of prep work and it will take several hours to pull it all together and you don’t want to have mess everywhere. Use good cheese y’all! Freshly grated is preferred in general and it’s worth the splurge for the results you get. I’d also recommend making the topping before it bakes at room temp because it spreads easier that way. Use Duke Mayo if you have it in your grocery store because it sincerely is the best. When you reach the part where you let the tomatoes drain- take it seriously because you do not want a soggy crust-that’s gross and offensive to pies everywhere. 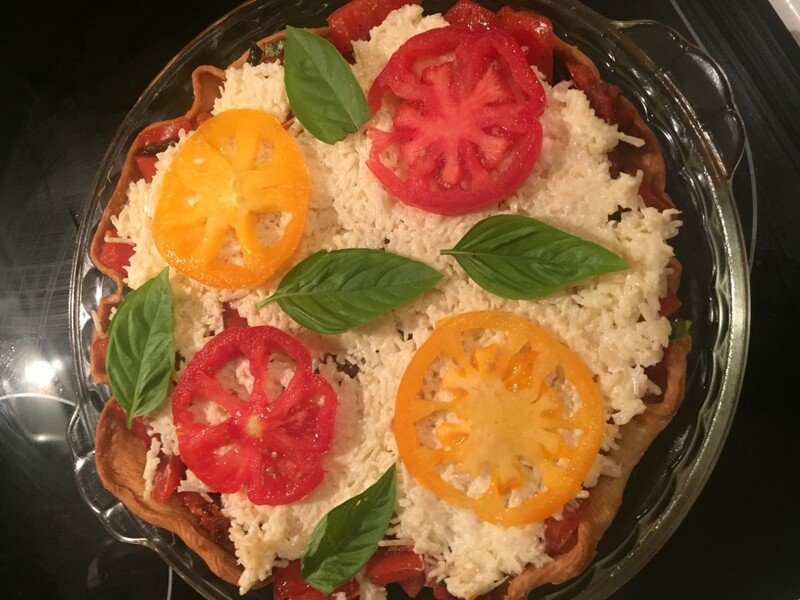 I used a store bought crust for this because I didn’t plan ahead- I would make my own next time for sure. Go for color if you can and use different types of tomatoes to make it really shine. Know however that, it will be delicious if you just use any random tomato you have. Make a trip to little Kinston, NC if you’re a local and support that sweet town. It’s got so much potential y’all! As a foodie I am especially grateful culinary passion exists like yours and even more thankful that you are working to bring life back to sweet Kinston, NC which is where my precious Grandmama lived my entire life. I never thought much of it when I went to see her as a child sadly, but as I grew up and got to know her as an adult I also fell in love with its charm. She used to say “Kinston is dying on the vine” and was so sad to see it failing. 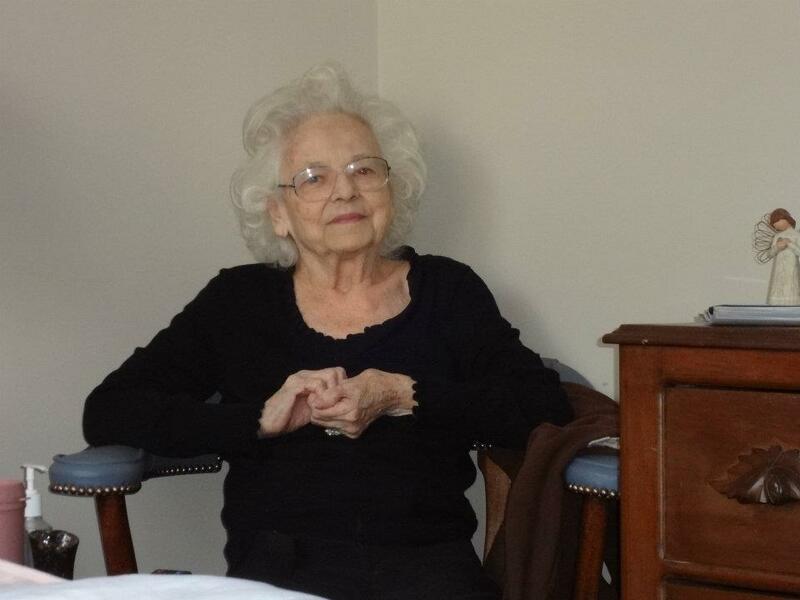 She would be so excited and joyful to see all that is happening in Downtown Kinston and the town as a whole. I pray for continued success for your restaurant and brand and that it magnifies the beauty of small town Kinston and continues to strengthen the community. To my sweet Grandmama, Charlotte Spigner in heaven, I love you with my whole heart and wish I could sit with you and enjoy this pie. Please make this pie before tomato season ends! 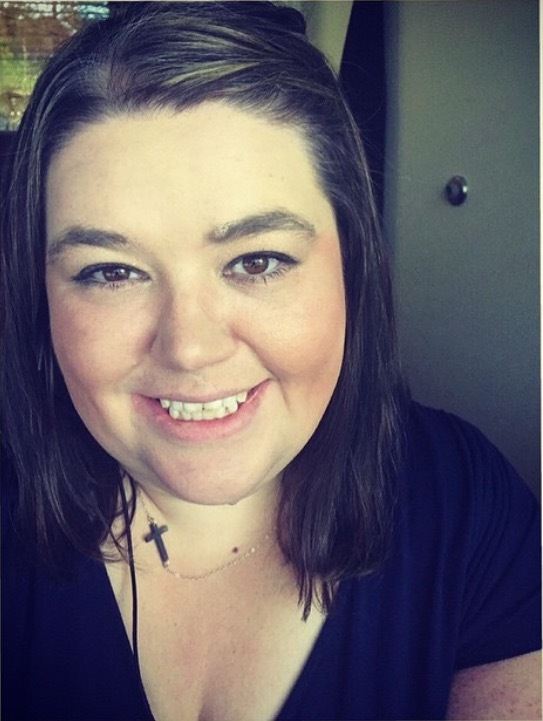 Tell me how it goes and scroll down for a link to Chef and the Farmer and this cook book! Place the flour, sugar, and salt in the bowl of a mixer fitted with the paddle attachment. Mix on medium for a few seconds. Begin adding the butter one cube at a time. Continue until the flour is speckled and crumbly, about 4 minutes. With the mixer still running, add the water and vinegar until just combined. Do not over mix. Press the dough into a 6-inch disk, wrap tightly in plastic wrap, and chill in the refrigerator overnight. Bring the crust to room temperature and lightly butter a 10-inch metal pie pan. Preheat the oven to 400°. Dust your counter and rolling pin lightly with flour and roll the crust slightly larger than your pan. Lay the crust in the pan and press gently into its edges. Cut off the edges that hang over and discard. Freeze for at least 15 minutes or until you're ready to blind-bake. Toss half of the diced tomatoes with 1?2 teaspoon salt and 1?2 teaspoon sugar. Set them over a colander to drain while you get everything else ready, at least an hour. Preheat your oven to 375°. In a medium sauté pan or skillet, melt the butter and then add the onion and 1?2 teaspoon salt. Cook over medium-low heat until deeply caramelized. This will take about 45 minutes. 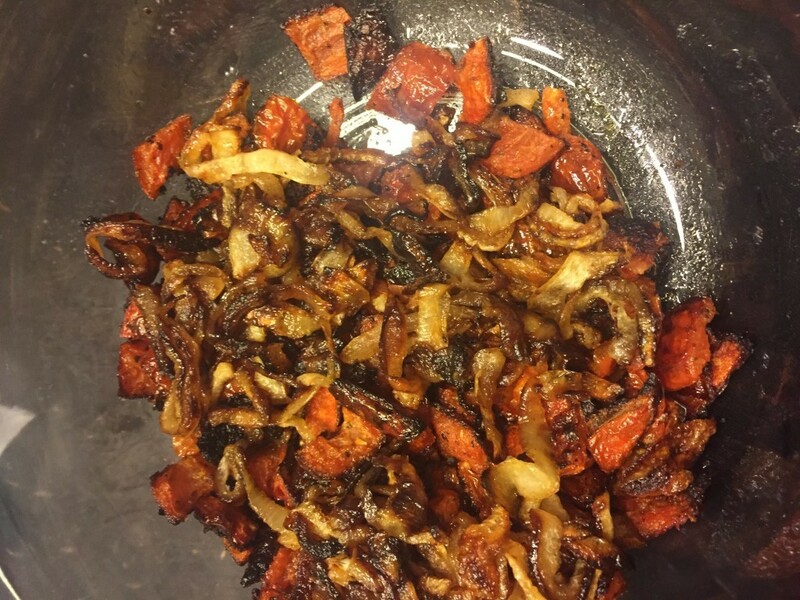 If the onion gets away from you and burns a little, add 1?4 cup of water to the pan, scrape up the over-browned bits, and keep going. In the end, you have a scant 2?3 cup caramelized onion. 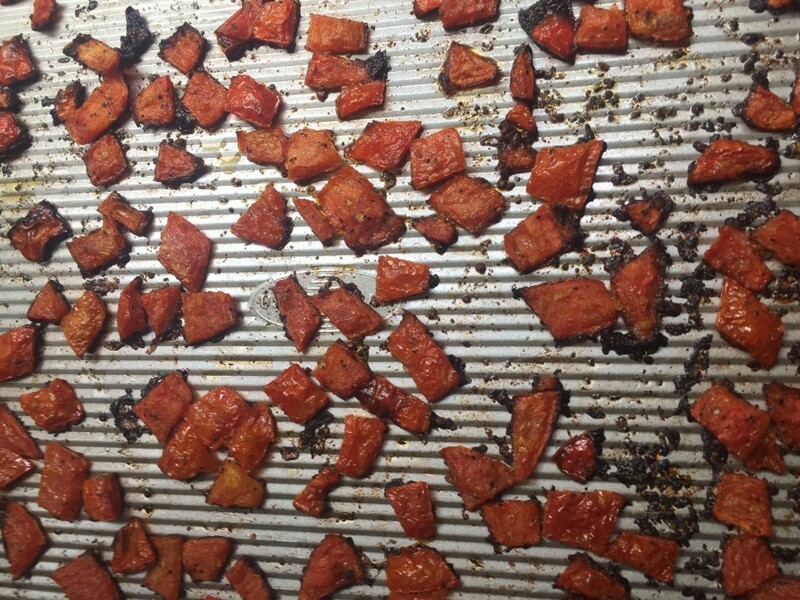 Toss the remaining diced tomatoes with 1?2 teaspoon salt, thyme, and olive oil. Spread in a single layer on a sheet tray with as much room separating the individual pieces as possible. Slide the tray onto the middle rack of your oven and roast for 30-35 minutes. You're looking for the tomatoes to dry out and brown slightly. For the Topping:In a separate, smaller bowl, stir together the mayonnaise, fontina, and Parmigiano. Spoon the filling into your blind-baked crust. 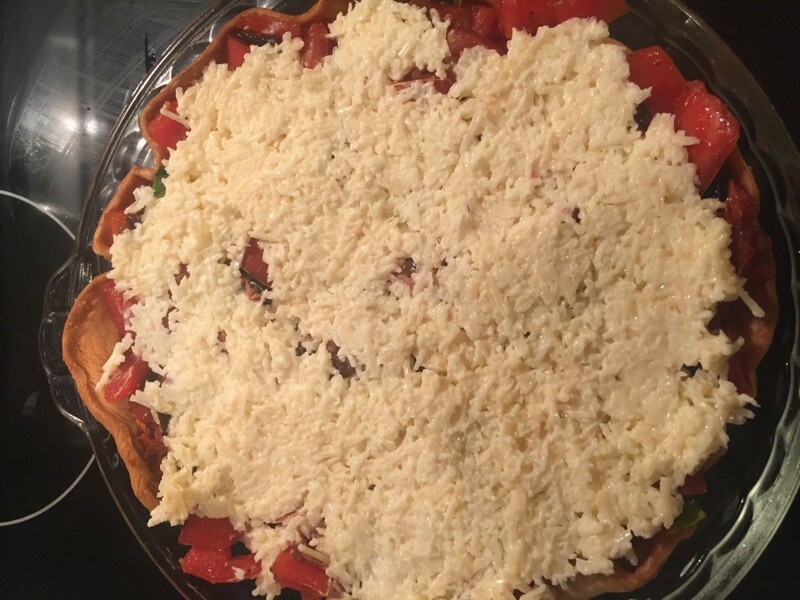 Top with the cheese mixture and tomato slices. Bake in the middle of your oven for 30 minutes. You can serve this warm or at room temperature. 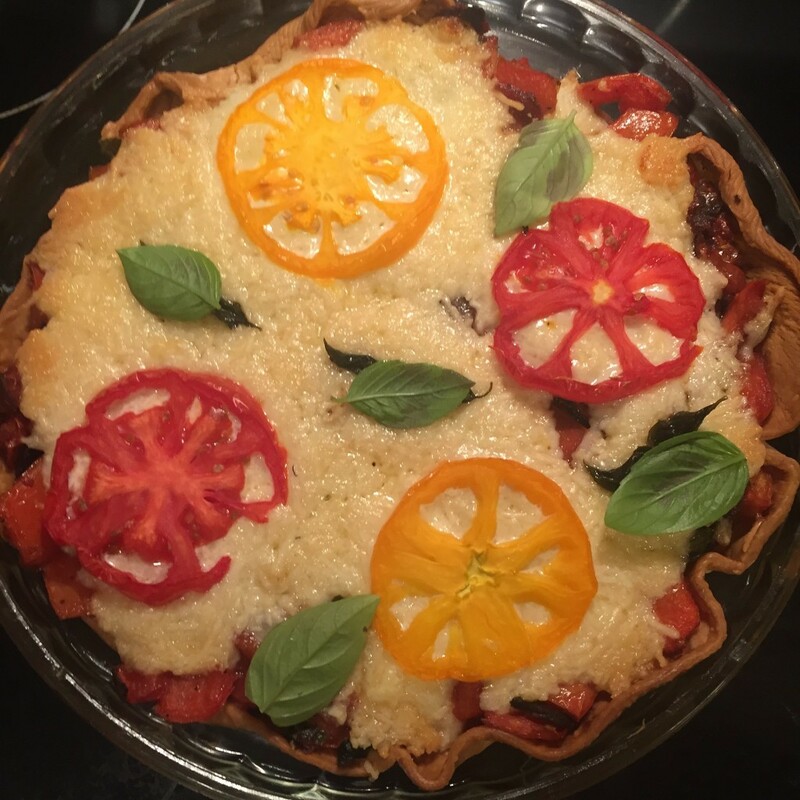 This entry was posted in Baking, brunch, Jesus, pie, tomatoes and tagged #amazing, #baked, #baking, #blog, #breakfast, #brunch, #cake, #cheese, #chefandthefarmer, #chocolate, #cookies, #crust, #cupcakes, #feedfeed, #food, #foodblogger, #foodie, #goodness, #grace, #happy, #healthy, #homemade, #HUFFPOSTTASTE, #instagram, #jenniferbakes, #joy, #kingarthurflour, #kinston, #kinstonnc, #love, #meatlessmonday, #nc, #nomnomnom, #northcarolina, #ourstatemag, #pie, #pinterest, #recipe, #smalltown, #south, #southern, #tart, #thankful, #thatsdarling, #thebakefeed, #tomato, #tomatoes, #vegetarian, #vivianhoward, #vscocam, #yum. Will love to try this! looks so yummm! This looks fascinating. I will have to try this. I live in the south but have never heard of this! Hey Alice! That’s sad but, it’s never to late to start! I was raised on Tomato Sandwiches and Tomato Pie. Let me know if you make it! 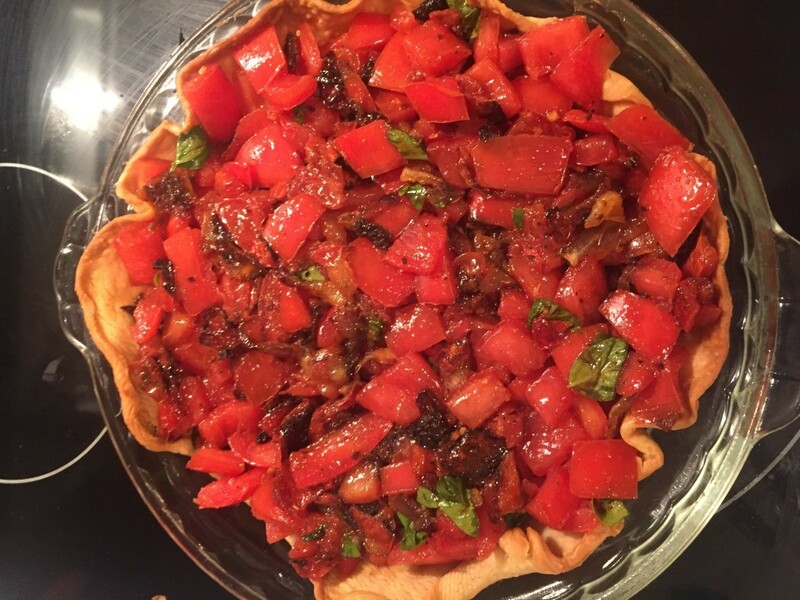 This tomato pie looks great, and I will have to try it, and thank-you for the pie crust recipe. I wanted to also say that I agree with you that Duke’s mayonnaise really does seem to be the best.